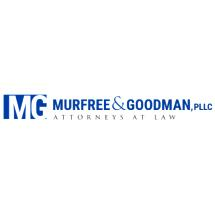 Founded by Matt B. Murfree III, who has been practicing since 1969, Murfree & Goodman, PLLC, is a family-owned law firm providing comprehensive knowledge and decades of experience to clients in Murfreesboro and the Greater Nashville region. The law firm's storied history has resulted in a strong reputation of delivering exceptional client services. We have advised and represented local, regional, national and international businesses for more than four decades, successfully managing substantial real estate, land development and business projects in the Murfreesboro area as well as providing local expertise to large firms from around the country. In addition, we assist generations of Tennessee families in planning their estates to preserve and to build family wealth for future generations. When the time comes, we are here to assist your family in navigating the estate planning and probate processes. Let our family help your family. We are also ready to provide aggressive criminal defense services designed to protect our clients' legal rights and interests. If you or your child has been charged with a crime, a campus offense, drug possession or distribution, a white collar charge, a DUI/DWI or another crime, we can represent you. Because we recognize that your good name is your most important asset, we will handle your case confidentially and with discretion. Regardless of your legal concerns, we encourage you to reach out as soon as possible. Smith Design Build Corp., Inc.